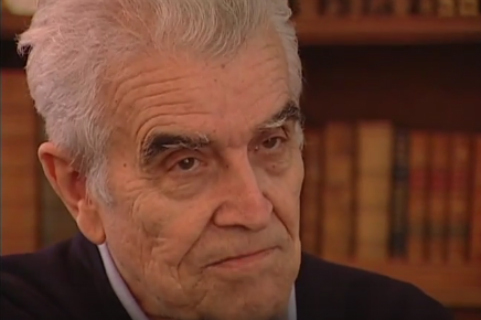 What can René Girard teach us about religion and violence? “Violence has always been endemic to religion. Images of destruction and death are evoked by some of religion’s most popular symbols, and religious wars have left through history a trail of blood. The savage martyrdom of Husain in Shiite Islam, the crucifixion of Jesus in Christianity, the sacrifice of Guru Tegh Bahadur in Sikhism, the bloody conquests in the Hebrew Bible, the terrible battles in the Hindu epics, and the religious war attested to in the Sinhalese Buddhist chronicles indicate that in virtually every tradition images of violence occupy as central a place as portrayals of non-violence. This raises two haunting questions: why are these images so central, and what is the relationship between symbolic violence and the real acts of religious violence that occur throughout the world today”. Juergensmeyer raises some interesting questions and René Girard believes “that [his] mimetic theory offers an exhaustive explanation of the phenomenon of religious-inspired violence”. In contrast, Michael Kirwan confidentially claims that Girard anticipated ‘religiously-inspired’ violence and atrocities (including 9/11). Therefore, one does not need to look further to understand this ubiquitous violence, as an analysis of Girard’s paradigm would suffice, as Kirwan suggests. But how does Girard view religion and violence? Can we learn anything from his theory that enables us to understand ‘religiously-inspired’ violence? This chapter offers a brief background of the French intellectual and an analysis of his mimetic theory. The final section seeks to investigate if Girard’s theory is applicable to Islam. It is to be noted, however, that Michael Kirwan will be used extensively throughout, partly because he provides a more comprehensive and balanced account of Girard theories and perspectives (including towards Islam). Born in Avignon, France in 1923, René Girard moved to the United States in 1947 (where he still resides). 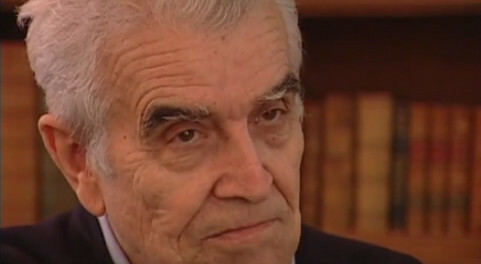 Girard obtained his PhD in contemporary history but does not consider the subject his sole area of expertise as: “Many people see literary criticism as my original field but in an academic sense, literary criticism is no more my field than anthropology, or psychology, or religious studies. If our ‘real’ field is the one in which we are not self-taught, my ‘real’ field is history. In everything that truly matters to me, however, I am self-taught”. World War II impacted his thinking. This war, Girard says, has “affected me deeply, probably negatively in my feelings about Europe too, and that must be one of the reasons why I stayed in the U.S.”. From this statement, it is fair to conclude that the violence Girard witnessed impacted his perception on what inspires violence, or in Kirwan’s phrase, his “obsession with violence”. This obsession led him to formulate concepts and theories “about the social role of symbolic religious violence that have been widely discussed in his own field of comparative literature and throughout the humanities; they have been especially influential in the field of religious studies”. Many find it difficult to express their views about ‘religiously-inspired’ violence due to political or other constraints. Girard however, does not shy away from speaking his mind. As Juergensmeyer noted: “Perhaps one of the reasons that Girard is regarded with such interest, especially in the field of Religious Studies, is that he supplies a straightforward answer to a question that has vexed thoughtful observers of religion for centuries: why violence is so central to religion”. In his attempt to find answers for the problems of violence, Girard according to Juergensmeyer, explores certain aspects of human relations that are potentially violent. In doing so, Girard proposes that religion provides instruments for defusing violence. It appears that Girard reached this understanding of religion and violence after extensively reading some prominent writers. Amongst these European writers are the works of Cervantes, Flaubert, Stendhal, Proust, and Dostoyevsky. Cervantes’ influence had a unique impact on Girard, believing that author is “the one who has remained dearest to my heart and who contributed most, I believe, to the definition of mimetic desire”. Although the influence of Cervantes should be taken seriously, it appears, however, that Sigmund Freud paved the way for Girard to formulate his theory. Freud, we are told, also “wrote about the importance that religion holds in symbolically displacing feelings of hostility and violence”. To illustrate the influence of Freud on Girard, Kirwan quotes Burton Mack, who stated: “All but tells us that Freud was his model and that he achieved his theory of mimetic desire in the struggle to understand Freud”. Furthermore, the influence of Freud on Girard could also be traced to the latter’s work Violence and the Sacred. Kirwan noted that it is extremely difficult not to be “impressed by the similarities” between Girard and Freud’s work. As Kirwan went on to comment: “For both Girard and Freud tragedy is thus defined as a tendentious re-enactment, a mythic inversion of an event that actually took place but which is thereafter subject to a process of systematic distortion”. Juergensmeyer argues that in Violence and Sacred, Freud is the major theorist with whom Girard struggles to understand. In this respect, Juergensmeyer went on to add that “Girard is sometimes congratulated for rescuing an interesting Freudian explanation for religious violence from its ties to the controversial theory of the Oedipal complex”. Here the influence of Freud is somehow overwhelming. Freud and Girard are seemingly obsessed “with religious myths of violence and sacrificial rites”. Moreover, both consider sacrifice to be the primary sacred act. Both view rituals as recollections of original violent acts that ought to be “controlled”. To this they regard religious symbols (and its rituals) significant. To understand this significance is to understand and control the violence within them. Juergensmeyer argued the point further: “Girard and Freud both regard these incidents and their symbolic responses as ubiquitous in religious traditions; understanding them is critical to an understanding of the meaning of religion per se. if one can decipher their importance for the human condition, one can understand what lies behind religion; and in doing that one deciphers the puzzle behind all forms of culture”. Though the two appear to agree on many points, there are also some disagreements. For instance, Freud contends that the cause of violence stems from the “instincts of sexuality and aggression aimed at parental figures”. Girard, for his part, sees mimetic desire to be the cause of violence. Girard’s theory has been described as human interrelations.The French intellectual, we are told, aims through his mimetic theory to explain the relationships between culture, religion and violence. According to Kirwan the mimetic theory is: “The mimetic nature of desire; the scapegoat mechanism as way in which societies regulate the violence generated by mimetic competition; and the importance of the Gospel revelation as the way in which this scapegoat mechanism is exposed and rendered ineffective”. What this theory entails is: firstly, that desires stem from imitation; secondly, people (or societies) have an inclination to channel violence by means of scapegoating. Thirdly, Jewish and Christian scriptures are not the only primary forces that reveals the truth about hidden violence; but also how these scriptures enable an alternative way of arranging human living. In Girard’s mind, there are immense differences between desire, need, and appetite. The difference is determined by appetite or need, which is biologically preconditioned, in contrast to desire. Desire, Girard argues is a function of culture rather than biological need. Girard states that “we must understand that desire itself is essentially mimetic, directed towards an object desired by the model”. To this, Girard argues that much of the violence that the world is witnessing is the result of mimetic desire. This includes our behaviour and the way we think. Kirwan elaborated this point: “When mimesis leads to a convergence of desires upon the same object-as with the example of children arguing over toys- the result will often be rivalry and possibly outright conflict”. Desiring the same things is bound to create conflict and sometimes even open conflict between individuals. Girard concurred that “desires converging on the same object are bound to clash. Thus, mimesis coupled with desire leads automatically to conflict”. Alternatively, differing perspective highlight situations whereby two must choose to either withdraw or seek compromise if the desired item is limited in number. In Girard’s mind however, there is no compromise because “the instinctual ‘braking’ mechanisms which will normally prevent an escalation of conflict among animals, for example, are not present for human”. Seemingly, Girard implies that animals are more likely to compromise than humans, even though we possess the ability to refrain from instinctual desires. According to Girard this occurs due to imitation. The most striking element in Girard’s theory is that people may not be aware of this imitation, because “imitation is just as likely to be unconscious and not deliberate at all”. Furthermore, he elaborates that the “word unconscious, though, does not have the same implications here as it does in Freud. By unconscious, we do not necessarily mean repressed, but simply unwitting”. Adding: “In fact, unconscious mimetic rivalry operates, most of the time, as a desperate search for and espousal of views, attitudes, and actions antithetical to those of the model”. Sadly, people are unaware of this rivalry because they are, according to Girard “half blind to this conjunction, unable to perceive it as a cause of rivalry”. Yet, mimetic desire is not always negative. For instance, when asked if he advocated the renunciation of mimetic desire or not, Girard replied: “yes and no”. It is good if a person attempts to imitate Jesus because Jesus himself, according to Girard, “seems to say that the only way to avoid violence is to imitate me, and imitate the Father”. However, mimetic desire can also be bad if it “generates mimetic rivalry, and in turn, is generated by it”. Therefore, it appears, in Girard’s view, that the only way to avoid violence, or at least the only way that mimetic desire can have a positive outcome is when the person imitates Jesus or God, as: “Jesus seems to say that the only way to avoid violence is to imitate me, and imitate the Father”. Here Girard seems to suggest that imitating Jesus is not only recommended but potentially the sole tool to help mankind avoid violence. Moreover, Jesus, according to Girard, not only seems to pronounce but advocates mimetic desire. To use Girard’s own words “what Jesus advocates is mimetic desire. Imitate me, and imitate the father through me, he says, so it’s twice mimetic”. Therefore, Girard posits mimetic desire as a positive. Of course, when a person imitates Jesus or God “the idea that mimetic desire itself is bad makes no sense”. Imitating Jesus in relation to being crucified is perceived as an act of devotion; however the action itself can be considered violent as it inflicts pain. Unfortunately, Girard does not elaborate how far Jesus or God can be imitated. Rather, Girard considers Christianity the only religion that understands the sacrificial victim. In his view, it is impossible to find any other religion in which God is perceived to have played such a sacrificial role of a victim. Girard comments that Christ “provides all humanity with a perfect model; one who, having no appropriate desire, does not run the risk of triggering mimetic rivalry”. Therefore, Christ ends the cycle of sacrifice by lending himself to be a sacrificed victim. For this reason, Christianity, according to Girard, provides the world with an enduring message of pathos and peace. “What do you think of the fascination with sacrifice by the Islamic kamikazes? If Christianity is the sacrifice of innocent victim, would you go so far as to say that Islamism is the permission of sacrifice and Islam a sacrificial religion in which one also finds this notion of ‘model’ or mediator of desire at the core of your mimetic theory?” This was one of the many questions put forward to Girard a few months after 9/11. Islam according to Girard, is a religion of sacrifice that one also finds the “theory of mimetism and model or mediator”. However, by suggesting that violence is imbedded in Islamic tradition, he contends that: “There was already no shortage of suicide candidates when terrorism seemed a failure”. Moreover, in the Muslim world these individuals are seen as “terrorists [who] obviously embody models of saintliness”. Perhaps, with an aim of illustrating the violence within the Islamic tradition, Girard alludes to the rapid spread of Islam: “What strikes me in the history of Islam is how quickly it spread. It represented the most extraordinary military conquest of all time”. For Girard, the fundamental difference between Islam and Christianity is Islam’s lack of a cross, because the cross signifies the end to violence. To this Girard argues that Islam lacks “the most important part of Christianity: the cross. Like Christianity, Islam rehabilitates the innocent victims, but it does so in a warlike way. Conversely, the cross signifies the end of violence and archaic myths”. Therefore, the violence in Islam, according to Girard, will continue simply because the figurehead in Islam is a “warrior” whereas in Christianity he is an “innocent victim”. If Jesus indeed sacrificed himself for the sake of mankind it becomes difficult to accept the phrase “innocent victim”. The word innocent could only be used if Jesus had no say in process. It appears that Jesus had full knowledge of the situation as he stated: “Father, forgive them; for they do not know what they are doing.”(Luke 23:34) In light of this, it would prove inaccurate to label him an “innocent victim”. Further in his attempt to show the difference between Islam and Christianity, Girard takes on the issue of martyrdom. For example, he agrees that “the martyrs of the Christian faith were also the ‘seed’ of Christianity”; but he argues that there are differences between martyrdom in Islam and Christianity. In Christianity, the martyr dies but not to inspire copycats. Though a Christian, according to Girard may sympathise with the martyr, he does not long for death. However, in Islam the opposite is true, as “one dies a martyr in order to be copied and thus to manifest a project of transformation in world politics”. Girard heavily influenced Michael Kirwan, who looks at martyrdom in Islam with greater objectivity. Whereas Girard seems to overlook any similarity between Islam and Christianity, Kirwan, for his part, appears to have emphasised the resemblance of the Abrahamic faith vis-à-vis martyrdom. Kirwan suggested that some aspects of Islamic martyrdom may borrow from early Christians. Kirwan argues: “As with the Greek word itself, the technical terms for martyr (shahid) and martyrdom (shahada) connote eyewitness, or legal testimony. This is clearly related to truth (haqq), and the martyr’s readiness to recognise and declare it, as well as struggle and die for it. It may be that the association of ‘witness’ and ‘death on behalf of the faith’ is probably taken over from Syrian Christianity”. So determined to find similarities on martyrdom, Kirwan sought help from Karl Rahner who rejects any sort of difference between an active and passive death. According to Rahner, death “always involves an inward and outward powerlessness, even death in battle. Just like the passive martyr in the traditional sense, the Christian warrior imitates Christ in his helplessness before evil”. On this, Kirwan is confident enough to offer the following comment: “It is here, in the explicit reflections of political and liberation theology that we come close to the possibility of a transformed understanding of Christian martyrdom-one which would edge closer towards the militant understanding that has come to the fore in Islamism”. Far from making the claim that Islam does not have shortage of suicide candidates, Kirwan commented “both Christianity and Islam have always distanced themselves from self-killing, so any attempt to align so-called ‘suicide bombers’ with religious motivation must be highly suspected”. Kirwan touches one particular point that I think deserves a mention. For instance, he thinks that phenomenon of militant Islam stems from the Qur’an, and this is due to the unsolved problem of the naskh (or abrogation). Kirwan states that “unless the doctrine of naskh is modified by Muslim’s, the Qur’an will continue to be used as a resource for terrorist ideology. However, given the lack of a central doctrinal authority in Islam, it is not easy to see how the older tradition can be rehabilitated against more modern ‘hardline’ position”. Kirwan’s discussion of rehabilitating the older tradition; seems to suggest that he believed that there is only one single naskh. Both Kirwan (and his source) appear unaware of the multiplicity of naskh. Anyone familiar with science of tafsir would know that there are at least three types of naskh: the suppression of the ruling but not the text; the suppression of both the text and the ruling; the suppression of the text but not the ruling. Even if we merged all three together it still would not give the right of rehabilitation because “traditional understanding of abrogation is entirely alien to the Qur’an”. There has never been one definite understanding of naksh. Moreover, a substantial number of scholars are sceptical of abrogation and some do not even consider it part of Qur’anic exegesis. There is a problem; but it is not naskh. What gives the Muslim ‘fanatic’ the support to their despicable crimes is partly either their ignorance of the asbab an-nuzul (occasion of the revelation) or their deliberate omission of it. Here lies the main problem: many Muslims and non-Muslims alike pay little attention to the circumstances in which the Qur’anic verses were revealed. Here Muslims are not alone; their Christian and Jewish brothers do the same. Another point that Kirwan emphasised is the absence of a single central authority in Islam. On this point, Kirwan’s voice is not alone. Many Islamic scholars and indeed non-scholars want a central religious authority. But such calls reflect an ignorance of the historiography of Islam. I do not think that by appointing a Pope it resolved any existing problems in Catholicism. Furthermore, Judaism which also is very close to both Islam and Christianity does not have a central authority. Therefore, demanding Islam to appoint a central authority, to bring an end to the violence carried out in its name, is somewhat unreasonable and an unjustified solution. According to Mark Anspach, Girard’s contribution “has been to demonstrate the paradox that religion controls violence through violence- it contains violence in both senses of the word, employing ‘good’ violence against bad.” To this, David Stevens argues that Girard’s approach undermines the whole tradition of natural law and theology “because behind the natural law is the world of violence”. However, Stevens continues to argue that Girard’s theory and interpretation do fit “much of the biblical data with remarkable appropriateness. Already biblical interpretation is being done using Girard’s analysis”. His theory though in many ways helps people better understand religiously inspired violence; but it does not offer an exhaustive answer, as claimed by Kirwan. Wolfgang Palaver in his article “The Ambiguous Cachet of Victimhood, Elias Canetti’s “Religious of Lament and Abrahamic Monotheism” accused Canetti (who considers Islam a “warmongering Religion”) of being Islamophobic- and Girard does fit well in this accusation. Indeed Girard appears biased against Islam. Moreover, Girard’s treatment of the martyrdom from within Islamic tradition is very speculative with little, if any, evidence. Kirwan application of some aspects to Girard’s theory of Islam is more objective. Moreover, Kirwan appears to demonstrate the similarities between three Abrahamic faiths – something that Girard overlooks. Kirwan demonstrates a good command of some aspects of Islamic traditions – particularly martyrdom. However, he falls short by jumping into the bandwagon of those who seek a central authority in Islam. Mark Juergensmeyer, Violence and the Sacred in the Modern World (London: Frank Cass & Co, 1992), p. 1. Michael Kirwan, ‘Girard, Religion and Violence: With Special Reference to Modern Martyrdom’ Oxford Handbook of Sociology of Religion, ed. Peter Clarke( Oxford: Oxford University Press, 2009), p.2. Michael Kirwan, Discovering Girard (London: Darton. Longman & Todd, 2004), p. 2. Rebecca Adams and Rene Girard, ‘ Violence, Difference, Sacrifice: A Conversation with Rene Girard’, Religion and Literature, Vol. 25, No 2, Violence, Difference, Sacrifice: Conversations on Myth and Culture in Theology and Literature(Summer, 1993), p. 11. Adams and Girard, op. cit., p. 12. Michael Kirwan, Girard, Religion and Violence: With Special Reference to Modern Martyrdom’ Oxford Handbook of Sociology of Religion, ed. Peter Clarke( Oxford: Oxford University Press, 2009), p.1. Juergensmeyer, op. cit., p. 1. Kirwan, ‘Discovering Girard ’, op. cit., p. 6. Rebecca Adams and Rene Girard, ‘ Violence, Difference, Sacrifice: A Conversation with Rene Girard’, Religion and Literature, Vol. 25, No 2, Violence, Difference, Sacrifice: Conversations on Myth and Culture in Theology and Literature(Summer, 1993), p. 12. Kirwan, ‘Discovering Girard ’, op. cit., p. 58. Kirwan, ‘Discovering Girard ’, op. cit., p. 60. Juergensmeyer, op. cit., p. 2. Kirwan, ‘Discovering Girard ’, op. cit., p. 14. Kirwan, ‘Discovering Girard ’, op. cit., p. 5. Kirwan, ‘Discovering Girard ’, op. cit., p. 20. Juergensmeyer, op. cit., p. 143. Rebecca Adams and Rene Girard, ‘ Violence, Difference, Sacrifice: A Conversation with Rene Girard’, Religion and Literature, Vol. 25, No 2, Violence, Difference, Sacrifice: Conversations on Myth and Culture in Theology and Literature(Summer, 1993), p. 23. Adams and Girard, op. cit., p. 23. Rene Girard, Henri Tincq, Thomas C. Hilde, ‘What Is Happening Today Is Mimetic Rivalry on a Global Scale’ South Central Review, Vol. 19, No. 2/3, 9/11 (Summer-Autumn, 2002), p. 24. Girard, Tincq, Hilde, op. cit., p. 24. Kirwan, ‘Girard, Religion and Violence’, op. cit., p. 8. Michael Kirwan, Girard, Religion and Violence: With Special Reference to Modern Martyrdom’ Oxford Handbook of Sociology of Religion, ed. Peter Clarke( Oxford: Oxford University Press, 2009), p.7. Neal Robinson, Discovering The Qur’an: A Contemporary Approach to a Veiled Text ( London: SCM Press Ltd, 1996), p.66. Mark R. Anspach, ‘Violence Against Violence: Islam in Comparative Context’ in Mark Juergensmeyer, Violence and the Sacred in the Modern World (London: Frank Cass & Co, 1992), p. 9. David Stevens, ‘ Unmasking the Gods of Violence: The Work of Rene Girard’, An Irish Quarterly Review, Vol. 77, No. 307 (Autumn, 1988), p. 317. Stevens, op. cit., p. 317. Wolfgang Palaver, ‘The Ambiguous Cachet of Victimhood: Elias Canetti’s “Religions of Lament” and Abrahamic Monotheism’, p. 4.